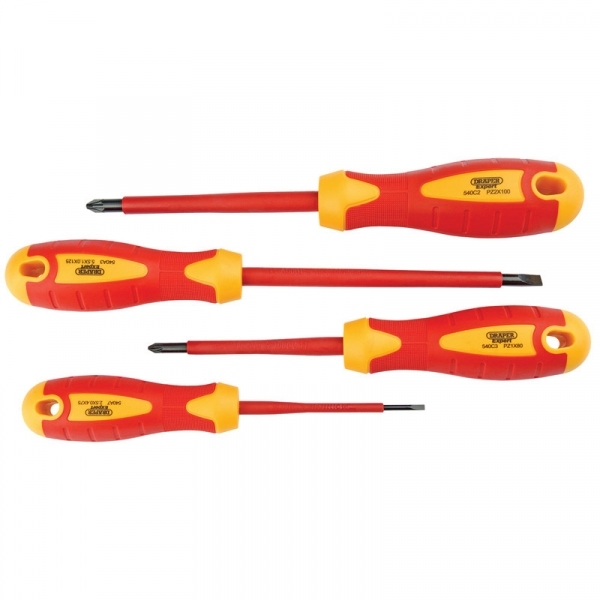 Expert Quality, VDE approved fully insulated soft grip plain and PZ TYPE screwdrivers tested to 10kV, suitable for working on live circuits up to 1kV AC and 1.5kV DC. Chrome molybdenum steel blades hardened, tempered and chemically blacked. Fully insulated soft grip handle with deep set blade sheath for total safety. Display packed.